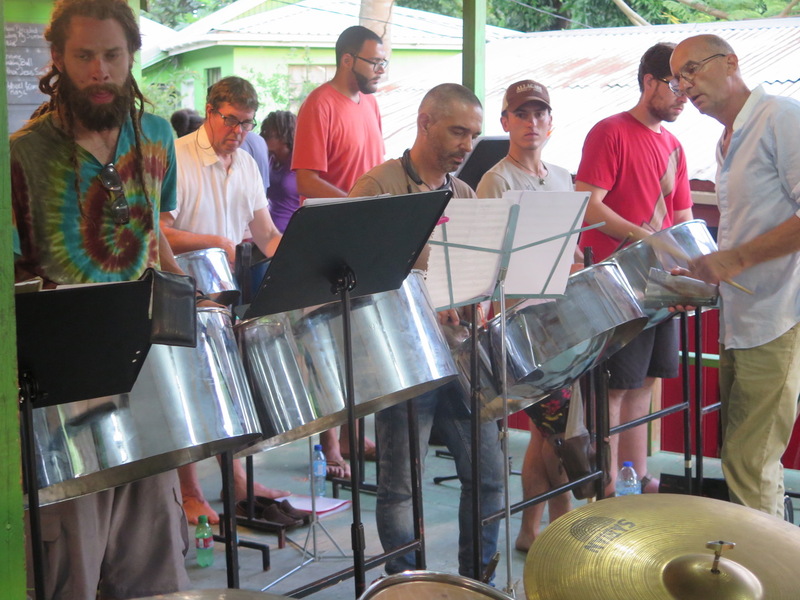 Professional and amateur musicians as well as music students from the USA, Australia and France have converged on Laborie for the third edition of the annual Laborie Steel Pan and Brasilian Percussion Workshop. Hosted by Labowi Promotions and the Laborie Steel Pan, this 10-day experience offers participants steel band and Brasilian percussion rehearsals, as well as master classes that cover a range of topics such as the history of steel band music, arranging, and improvising. The co-directors of the workshop are world-renowned pan player and composer Andy Narell, and Jason Koontz, director of percussion at Eastern Kentucky University in the US. Andy Narell has been a part-time resident of Laborie over the past eight years, and has been working with the Laborie Steel Pan, broadening their repertoire, sharpening the skills of the players, and giving them a deeper understanding of and appreciation for the steel pan and pan music. 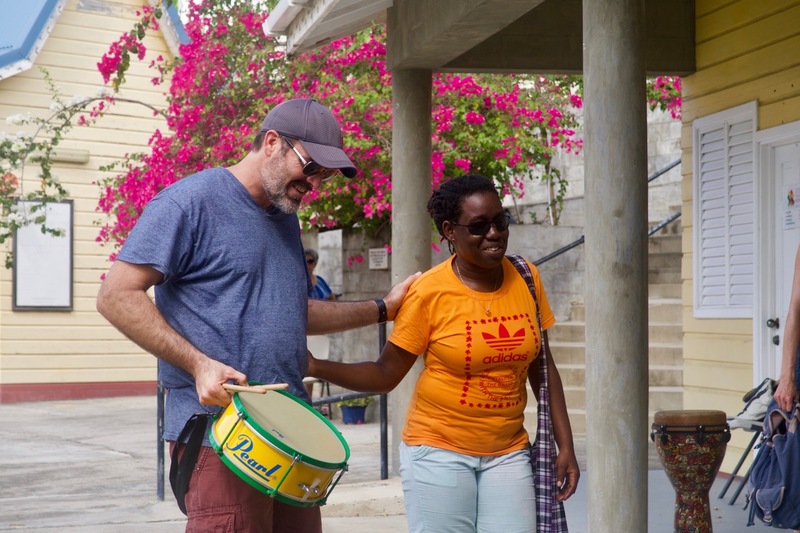 During their stay in Saint Lucia, workshop participants learn and play music, but they also have the opportunity to meet residents, taste local cuisine, enjoy beaches, explore historic sites and go hiking. For Labowi Promotions and the Laborie Development Foundation, this workshop is one of the ways to encourage community-based tourism, and to attract people who appreciate local culture, and who have artistic skills and experience to share. This international workshop is one of the many activities that the Laborie Steel Pan is currently engaged in. Its purpose is to develop musical and artistic talent in the community, and to give participants the opportunity to engage in a meaningful social activity and to gain pride and self-confidence in the process. The band’s motto is Youth Empowerment Through Music”. 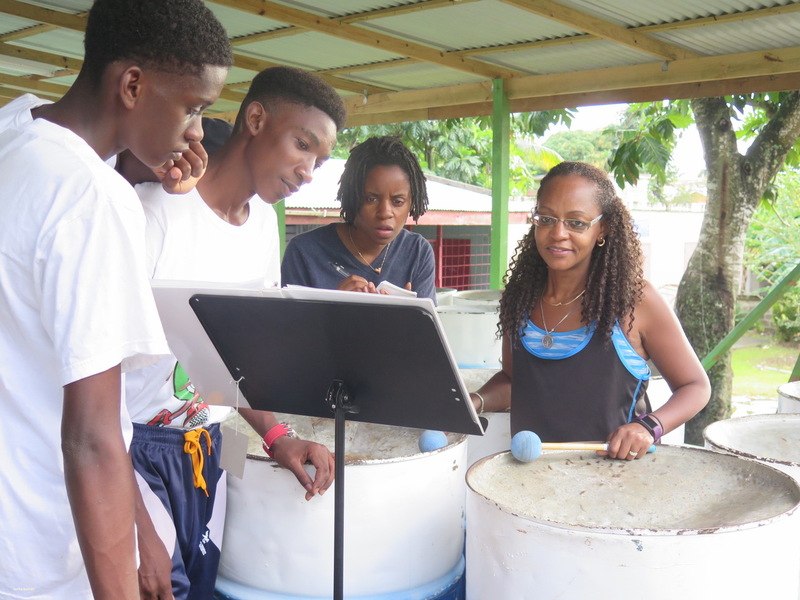 Last December, Andy Narell and Laborie Steel Pan travelled to Martinique where they performed at the opening concert of the festival Tanbou Lézans in Les Anses d’Arlet, a community that is twinned with Laborie. This was the band’s third overseas performance for the year, following its appearance (with Andy Narell) as headliner in a steel pan festival in Guadeloupe in February and the participation of six band members in London Panorama in August. This year’s international workshop in Laborie will culminate on Sunday 13 January with a free concert where workshop participants will perform the music they have learned over the 10 days. There will also be performances by Laborie Steel Pan. This concert takes place at 5pm at the Laborie panyard in Citrus Grove.